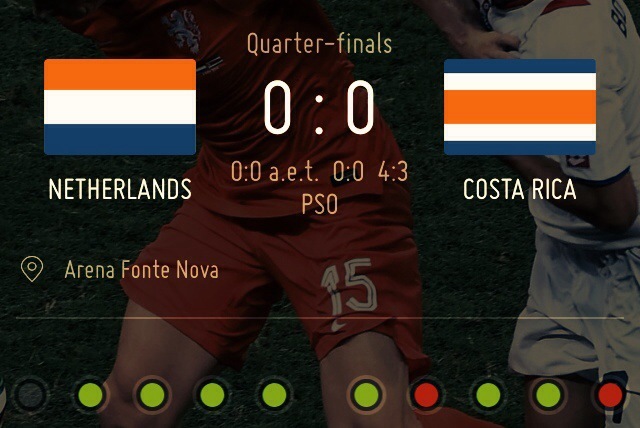 Holland won over the amazing Costa Ria by penalty shoot out. Keylor Navas, Costa Rica goalie, was named man-of-the-match. For me, it was Louis van Gaal, as he “prepared” for the PSO, and brought in Krull as PSO stopper. Indeed, proven Krull denied two penalties from CRC and confirmed Oranje spot in semi-final.